Coach Bassel, an accomplished fencer who was part of the Egyptian National team, has worked as a referee for several international championship including the Junior and Cadet World Championships in 2015. He is certified to referee internationally by the International Fencing Federation (FIE). 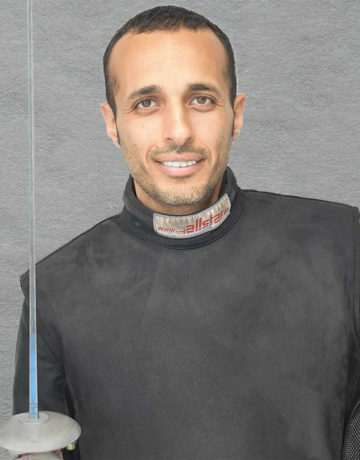 Along with his expertise in the sport of fencing, Coach Bassel brings a passion for working with fencers at all levels. “I like to share my skills and experiences with others and learn new things along the way,” he says. He began his coaching career in 2009. His teaching style helps younger fencers in our Cavalier classes learn the basics of the sport with a heavy dose of fun. For more experienced fencers, he works on their technique and helps students hone their skills in preparation for competitions on the national and international fencing circuits.